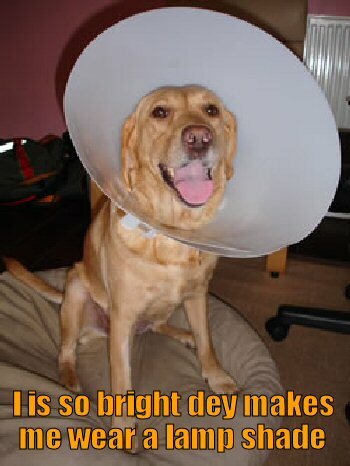 dey makes me wera a lamp shade. That’s a well trained dog. I think this could lead to even more confusing days for this guy.